Gerald Spencer Long, Jr., 78, a longtime Liberty resident, passed away October 3, 2018, at K.U. Medical Center with family at his side. Visitation will begin at 1:00 pm, followed by a service celebrating Gerry's life at 2:30 pm, on Sunday, October 14, at McMurry United Methodist Church, 25 Eugene Field Road, Claycomo, MO 64119. Burial will follow in Glenridge Cemetery. In lieu of flowers, memorials are suggested to the church. Gerry was born September 24, 1940, in Salisbury, MO, the older of two sons of Gerald "Bill" and Velma (Monnig) Long. Along with his parents, Gerry was preceded in death by his wife of 51 years, Carol (Mack) Long, and brother, Larry Long. 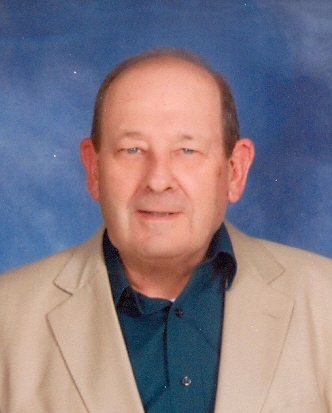 Gerry graduated from Marceline (MO) High School and later received his Bachelor's degree from Northeast Missouri State University at Kirksville in 1964. His career in credit management spanned more than 25 years, most recently for Marion Merrell Dow until his retirement in 1993. He was an active member of McMurry United Methodist Church. Survivors include his daughters, Kristine Nelson (Doug) and Kerry Stufflebean (Ernie); grandchildren, Spencer Nelson, Bethany Nelson and Taylor Stufflebean; as well as other family members and many friends, including his Liberty McDonald's coffee buddies. Gerry was deeply loved and will be greatly missed by all.